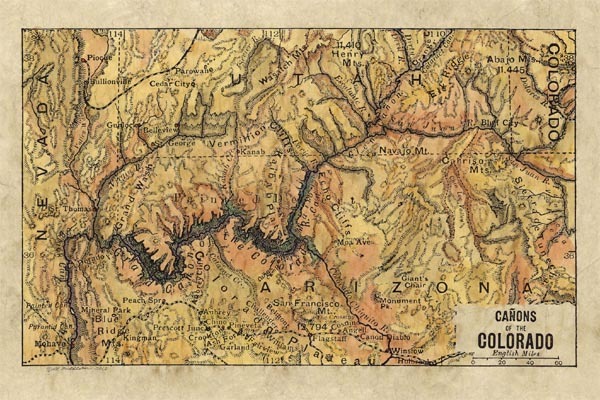 Extremely beautiful colorization of Bartholomew’s Canyons of the Colorado 1906 map. Features Grand Canyon. One of Lisa’s favorites. Other sizes are available, as well as originals. Lisa’s maps are known to be some of the most beautiful hand painted maps available.